Pendaflex Two-Tone Color File Folders come in bright shades with lighter interiors to prevent time-wasting misfiles. 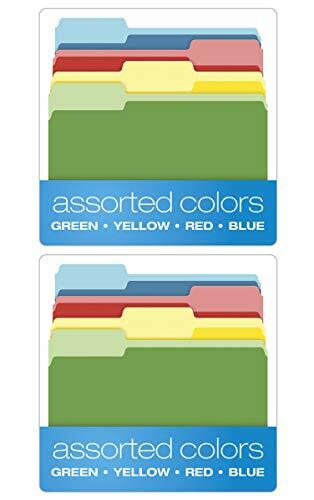 Choose your favorite color for the entire system or color code your file folders by project, vendor or department and watch your productivity soar. Why is color coding faster? You read color more quickly and efficiently than text alone so you'll retrieve files with greater speed and accuracy. This color assortment will help you manage up to 4 categories at a glance. If you have any questions about this product by Pendaflex, contact us by completing and submitting the form below. If you are looking for a specif part number, please include it with your message.